There are several technologies available to hunters that make hunting just that much easier. The TecTecTec ProWild Hunting Rangefinder is one of these devices. Designed by engineers this little pocket rocket will make quick work of calculating distance.Even though TecTecTec is a relatively young company, their success is proof that their products are nothing short of remarkable. The company was originally born to fulfill a need, a need for good quality rangefinders that don’t break the bank. We have been surprised at the customer service and feedback received from TecTecTec. That alone is enough for us to strongly recommend this product. Having had the opportunity to test this solid product, we can vouch that it most certainly will come in handy for your next hunting trip. If you are in the market for a new hunting rangefinder or if you are a novice and would like to purchase your very first rangefinder read on and find out if the ProWild Hunting Rangefinder is ideal for you. The rangefinder is one of the smaller models and the specs are much similar to the VPRO 500 that has also been designed by TecTecTec. It stands at 4.1” x 2.8” x 1.6”, making it rather small and allowing the unit to fit snug into your hands. It weighs around 6.4-ounces and can be carried around with the utmost of ease by anyone trying to travel lightweight. What we absolutely loved about this hunting rangefinder was the fact that it is anatomically shaped. As part of the design, TecTecTec has included a wrist strap that can easily be adjusted to fit around your wrists. 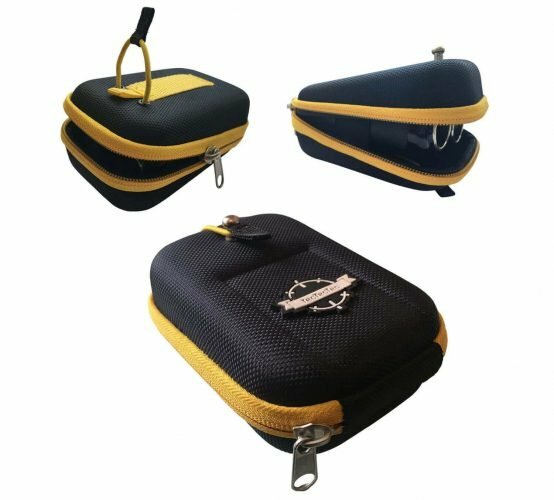 It comes in a robust carrier case that has elasticated sides as well as a belt loop and clip. We liked the addition of a microfibre cloth to clean your lenses. With a built-in laser, it makes the rangefinder a little more accurate than most others. It also does not come with a multitude of buttons, two to be precise. One power on button and one mode button. According to the manufacturer, it is accurate to around 1-yards give or take. The solid composite construction is water and mud resistant, it leaves no entrance holes or areas for dust, water or mud to enter. Multilayered optics have been fitted to the lenses, making it possible for you to actually use the rangefinder in the middle of the day. This will help to reduce the glare coming from the sun as well. Now onto the good part and looking at the ProWild Hunting Rangefinder, you will note that it is packed with a multitude of excellent features. These features include having a speed mode added. Should you be hunting targets that are constantly moving, the activation of this mode will continuously scan to ensure you keep the distance in your mind without pointing the actual laser. Hunting is never really done at anything farther than 500-yards and this rangefinder can detect your targets all the way to 540-yards with a 1-yard accuracy give or take. It features a state of the art 6X magnification, bringing you up close and personal with your targets in the 500-yard range, while also helping to identify potential trophies. You can also easily switch between yards and meters. On to the colors of the rangefinder, one will immediately note how stylish it actually looks.The camouflage is well done and blends in perfectly with hunting attire. No reflective metallic materials have been added to the design which we like. The rangefinder has a 24mm objective lens, making it ideal for light transmission to flow through the optics. This will work well for those shots when the sun is in your face and combining with the multi coated optics will ensure that no glare is ever much of a problem for your eyes. 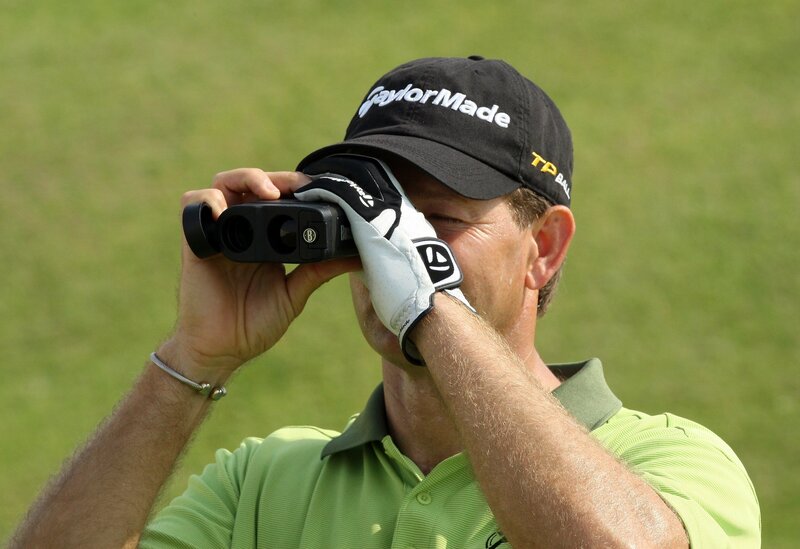 It is important to note that although this is marketed as a hunting rangefinder, it works perfectly on the golf course as well. If we had to knit pick, we would say that the readings below 50 yards isn’t always consistent. The TecTecTec ProWild Hunting Rangefinder is mostly rated as a beginner or entry-level rangefinder. It comes with all the features a newbie-hunter will need, but can even be used for many of your bird watching endeavors. With such a stylish design and an affordable price tag, there is absolutely no doubt about the quality of this rangefinder as a whole.As mentioned, you have peace of mind with the 2-year limited warranty. Another notable aspect is the fact that TecTecTec will accept returns on ALL of their products ( within 30 days) should you not be happy with your purchase. They offer a full refund with no questions asked. No matter the conditions, the rangefinder tends to work quite well and it is also pocket sized.You might find looking at your target a little difficult when the sun is directly behind you as the screen isn’t completely lit up. TecTecTec might have this as their first attempt at entering the hunting scene, but they have done quite a decent job to start with. The ProWild Hunting Rangefinder has everything a complete hunter will need and many people use it for various other outdoor adventures. 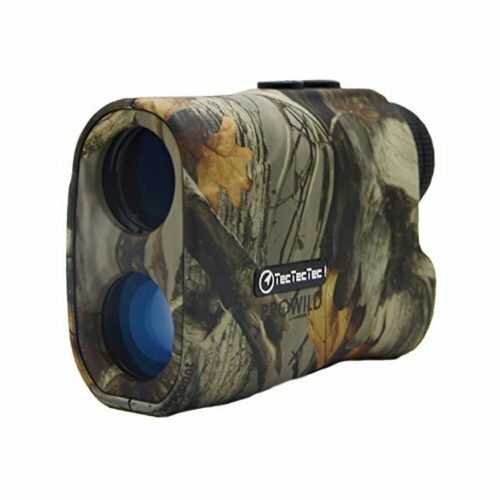 Overall, TecTecTec has come a long way and starting out like this puts them on the right path.This hunting rangefinder is an excellent buy. 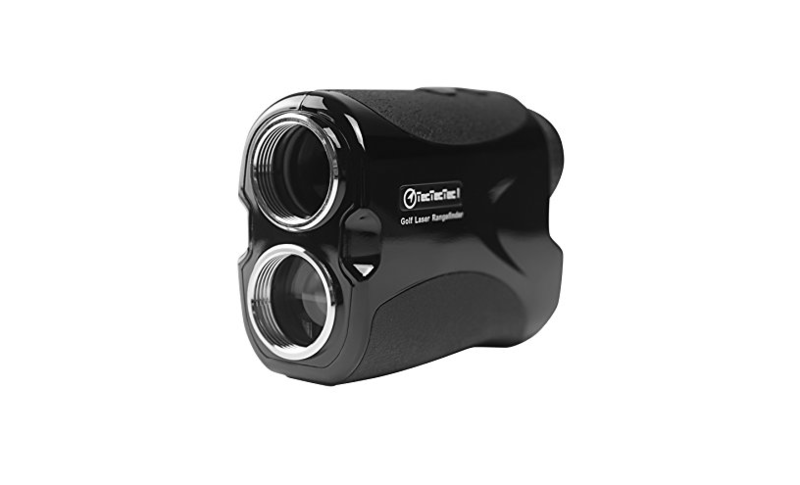 If you are looking for something a bit more elite you might also want to check out the more advanced TecTecTec ProWild S Hunting Rangefinder with slope calculation technology as well.